The grants will range from $5,000 to $500,000, and winners will retain rights to their intellectual property, along with the right to publish the work in whatever way they see fit. And while the funding doesn't require applicants to create a game or commercial application, if a winning applicant's app is released commercially, there is a royalty requirement. "Generally, you are obligated to pay to Epic 5% of all gross revenue after the first $3,000 per game or application per calendar quarter, regardless of what company collects the revenue," the guidelines state. "For example, if your product earns $10 from sales on the App Store, the royalty due is $0.50 (5% of $10), even though you would receive roughly $7 from Apple after they deduct their distribution fee of roughly $3 (30% of $10). Royalty payments are due 45 days after the close of each calendar quarter. Along with the payment, you must send a royalty report on a per-product basis." In some ways, the project is similar to the recent Magic Leap app creator initiative, but the major difference here is that Magic Leap's entire pool was only $500,000. Grants range from $5,000 to $500,000 and winners will retain rights to their own intellectual property, along with the right to publish the work in whatever way they see fit. Magic Leap's program also suffered a bit of criticism, with some indicating that winners seemed to be skewed toward previously funded startups and existing businesses, potentially leaving some smaller, unknown developers somewhat underrepresented. However, in the questions and answers portion of the Epic MegaGrants funding initiative site, the Unreal Engine team makes a point of encouraging indie developers. "Individuals are eligible and encouraged to apply," the guidelines state. The statement also emphasizes that applicants don't need to have an existing business, "we strive for fairness and treat every project equally, regardless of who you are." 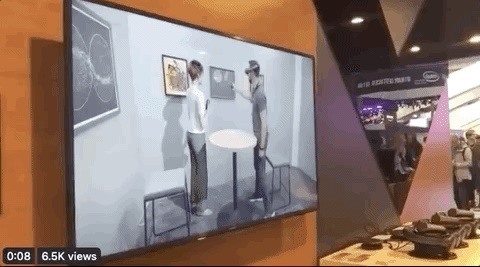 Most of the Epic Games and Unreal Engine announcements at GDC revolved around traditional 2D gaming, but one major partnership showed off what's possible in augmented reality using the Unreal Engine. During GDC, attendees had the opportunity to try out Magic Leap's MICA, an interactive virtual human that was created using the Unreal Engine. If you're not at GDC, you can get a general idea of just how amazing MICA is by checking out my experience with the Magic Leap app last year. You don't have to live in the US to apply for one of the grants, and Epic will notify winners of MegaGrants within 90 days of their application.